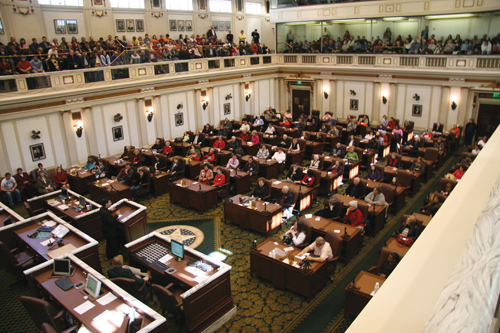 A record crowd that overflowed from the State House Chamber into the Senate Chamber took a stand for life Feb. 6 at the 17th annual Rose Day pro-life rally at the Oklahoma State Capitol. Wilburn emphasized the importance for pro-life proponents to continue to make their presence known at the State Capitol. That was especially evident last year, Wilburn added. 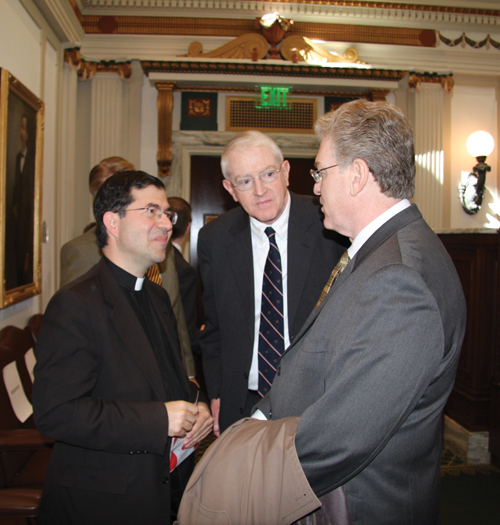 Frank Pavone, national director of Priests for Life and president of the National Pro-Life Religious Council, spoke to the standing-room-only throng pressed into the House Chamber and those listening in the Senate Chamber. He opined that pro-choice activists no longer are concerned that current laws will be overturned, but that abortion providers will soon disappear. “Did you know that in the last 12-14 years, over half of the free-standing abortion facilities in the United States have closed?” he shouted to loud applause. 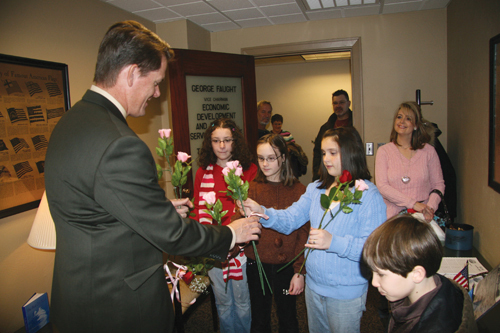 During Rose Day, participants were given a list of legislation to be introduced during the upcoming session, and asked to urge their Senator and Representative to support them. _ HB 3144 (Rep. Lisa Billy) and SB 1971 (Sen. Todd Lamb), providing a woman an ultrasound of her unborn child which she may view prior to undergoing an abortion. _ HB 2814 (Rep. Dan Sullivan and Sen. Brian Crain), fostering respect for babies with disabilities by disallowing wrongful-life lawsuits that claim a baby would have been better off being aborted. _ HB 3059 (Rep. Rebecca Hamilton and Sen. Jim Williamson), ensuring that a mother’s consent to an abortion be truly voluntary and safeguarding against coerced abortions. _ HB 2771 (Rep. Pam Peterson) and SB 1878 (Sen. Todd Lamb), protecting health care professionals’ freedom of conscience by affirming their right to refuse to participate in the taking of a human life. _ HB 2181 (Rep. Skye McNiel) and SB 1874 (Sen. Todd Lamb), regulating the use of the dangerous chemical abortion pill RU-486, which is used when the unborn child is about 2 months old. During the rally, House members and Senators in attendance were introduced to the crowd.